If you look at pictures of Earth from space, you can see what a rocky planet we live on. 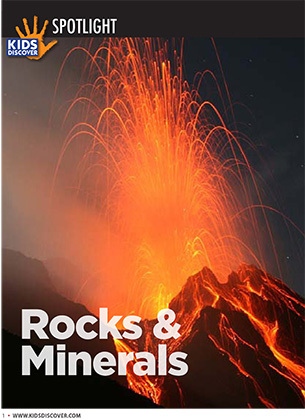 In this downloadable Spotlight, get 10 packed pages of information about how rocks form, the various types of rocks, and the role of minerals in rock formation. A perfect curriculum supplement for the classroom or home, this free Rocks and Minerals infopacket includes full-color photos and a 5-question assessment with answer key. Download it, print it, pin it, and share it!